New regulations meant to lower the amount of money consumers pay for data could be rendered meaningless if people are expected to pay a levy. The Independent Communications Authority of SA (Icasa) on Tuesday said it was probing whether Vodacom is guilty of any compliance breaches following its decision to charge consumers R49 to rollover unused data. Briefing member of Parliament (MPs) on Tuesday, Icasa chief executive Willington Ngwepe confirmed they had received a notification and explanation from Vodacom informing the regulator it will be charging its customers a levy for rolling over data or transferring data after it expires at month end. “It’s certainly not a matter we will leave lying down. We will assess their representations, we will then make representations on how we proceed,” Ngwepe told Parliament’s telecommunications portfolio committee. The move by Vodacom comes ahead of new regulations under the End-User and Subscriber Service Charter coming into effect on Thursday. The new rules on data include consumers being periodically notified of how much data they are consuming, people being given the option to roll over or transfer data before its expires, and mobile operators not being able to charge consumers out of bundle rates without their prior consent. Icasa believes the regulations, meant to lower the amount of money consumers pay for data, could be rendered meaningless if people are expected to pay a levy for enjoying these benefits. Speaking to African News Agency (ANA) on the sidelines of the meeting, Ngwepe said if Vodacom is found to have undermined the new regulations, Icasa will act. MPs accused Vodacom of being disingenuous. 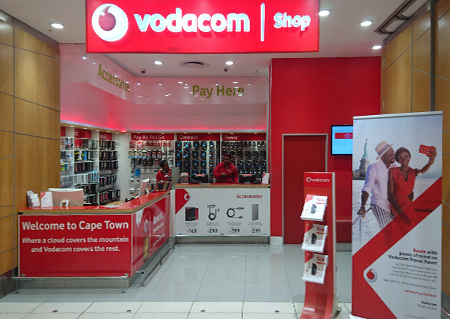 Democratic Alliance MP Cameron Mackenzie said the move would hurt consumers’ pockets and Vodacom needed to be reviewed. “In terms of a data charge for rolling over your own data, that R49 charge, not that’s not fair,” said Mackenzie. Committee chairman, African National Congress MP Jabu Mahlangu, agreed, saying Vodacom, as one of the biggest mobile operators, should be leading by example. “One would assume the industry is really trying to claw back on the profits that they are used to instead of ensuring that the consumer is assisted to gain access and we hoping that they will, without being over-regulated, they would allow for peer review mechanism because as you can see other players in the same space, even smaller players, have been very lenient,” said Mahlangu.